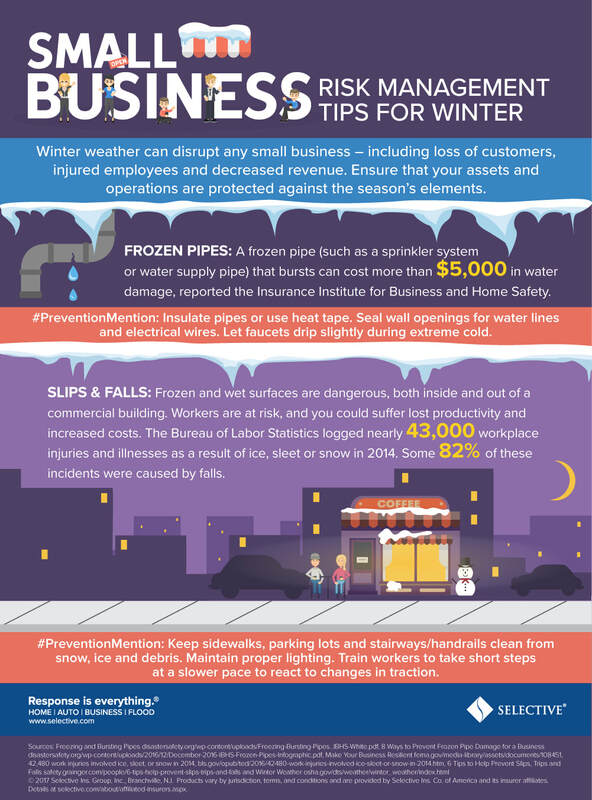 Winter weather can disrupt any small business including loss of customers, injured employees and decreased revenue. Ensure that your assets and operations are protected against the season's elements by using the infographic below. Any inclement weather can pose a risk to the operation of your business and the structure itself. Speak to an agent about finding the proper insurance coverage to ensure your business can continue to run smoothly.